1 Corinthians 6: 19-20 – Do you not know that your body is a temple of the Holy Spirit, who is in you, whom you have received from God? You are not your own; you were bought at a price. Therefore honor God with your body. This is a new series I am starting today. 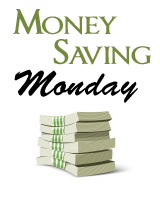 Each Monday, I’ll have a post that provides a money saving tip that you can implement. Many employers, including mine are offering Flexible Spending Arrangements (FSAs), or more commonly called Flexible Spending Accounts or Flex Accounts. A flexible spending account allows you to allocate pre-tax dollars to a special account managed by your company or 3rd party. In other words, any money pulled from your paycheck to place into an FSA is NOT subject to payroll taxes. FSAs can offer substantial tax benefits and savings. An additional benefit being offered by many FSA providers is the availability of FSA Debit Cards. 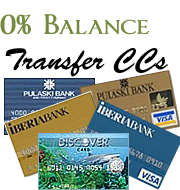 These debit cards allow you to utilize the money in your FSA at the doctor’s office, hospital, daycare facility, etc just like you would a standard debit card. The benefit of course is that the funds come out of your FSA directly. The convenience of this new option is expected to increase FSA participation significantly. Recently, FSA accounts were changed to allow expenses of over the counter medication as well, such as Advil, Tylenol, Claritin, Cough Syrups, etc. This capability makes them even more attractive. As an example, lets take an employee that is in a 28% federal tax bracket, a 5% state tax bracket. As you can see, by placing the money in an FSA and using it, the overall taxes are decreased and thus the net income is increased. Please note my emphasis on using your FSA money. That is the one big drawback to utilizing a FSA, if you don’t spend the money, you lose it. This is fairly easy to manage though, it just requires a little organization. All you have to do is determine your average medical expenses per month. If you have been following a budget, this should be easy to do, if not, than you will have to make an educated guess. The first year I signed up, I was very conservative and way underestimated. The second year, I did the opposite and contributed too much. By the third year I had it just right. If you find you are contributing too much, than just go get that physical you’ve been putting off, or stock up on over the counter medicines you use on a regular basis. In my case I wear glasses, so I purchase a new pair or even get a set of prescription sun-glasses. That usually takes care of any remaining amount. One other minor drawback worth mentioning, is that all claims have to be made by the plans cut-off date, which varies from company to company. Claims submitted after this date will be denied. I make this point to emphasize being very organized with your expenses and making sure you turn your claims in on time. I generally do mine monthly. Since I do mine monthly, I have stopped budgeting for any medical expenses, since due to the FSA, my expenses are a wash each month. What we spend, we just expense and get back, plus I pay less taxes! So, visit your companies HR site or department and ask them if they have a FSA. If so, seriously consider signing up. It will make your budget easier and provide you with lower taxes and increase your income! For a future post, you might want to do some research on HSA’s too. These are “Health Savings Accounts” and work much like an IRA. They are used with a high deductible insurance plan and the money rolls over each year. You open an HSA yourself so you don’t need your employer to provide it. You do, however, need a qualifiing high deductible insurance plan which most employers now offer. Also, note … don’t confuse a “Health SAVINGS Account” with a “Health SPENDING Account”. A spending account is the FSA you mention where you must “use it or lose it”. Thanks Rob, actually have that down in my articles ideas list. Was reading about HSAs over on the WSJ the other night. Thanks for the tip. Of course they are not the right choice for everyone… however, it was a good fit for my family and situtation. I opened one in Jan 2007. Also, expenses I would otherwise pay with after tax dollars (such as braces which are in our future) will be covered. I used to work for a company that administered FSAs for other companies, and it was often part of my job to lead enrollment meetings about the FSA for employees. It was often frustrating to see how many people would just leave money sitting on the table out of fear of the “use it or lose it” rule. You’re right — all that it takes to successfully save serious money with an FSA is a little bit of pre-planning and 30 minutes of basic budgeting. I’m a pretty healthy guy–my only consistent medical expense is OTC allergy medication. Even buying just Claritin for a year can total up to almost $300. I always know I’ll spend it, so there’s no reason I shouldn’t open an FSA and save almost 25% of this cost. To add to RobY’s comments above: I’ve now been an HSA accountholder for two years, and the advantages have been outstanding. In addition to being free from the “use it or lose it” rule, I’m now spending less in insurance premiums and using the savings to fund an HSA. It’s been an interesting year, as I just (last week) had major knee surgery to reconstruct a torn ACL. Since my HSA-compatible high-deductible insurance plan has 100% coverage once I meet my deductible, I’m actually coming out ahead this year — a traditional plan would have cost me almost twice as much, once I factor in co-insurance costs, co-pays, and all the taxes I would have paid on the funds to pay for my surgery (since my HSA funds are tax-free). Aaron, great info thanks for informative comment. btw, right there with you on the Claritin! Thanks! 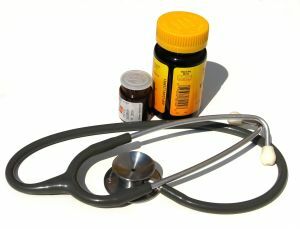 And as you do your research on HSAs, check out http://www.cdhcompass.com — a blog I manage about HSA health plans.